The Westholme Association said a very fond farewell to Mrs Croston at the last meeting she will attend as part of their group! This was ”˜the first’ of ”˜the lasts’ in a sense; between now and the end of the Summer term, many people will be saying thanks and goodbye to our illustrious leader. Everyone at the meeting wanted to thank Mrs Croston for her tireless support, and the affection and regard was entirely mutual. 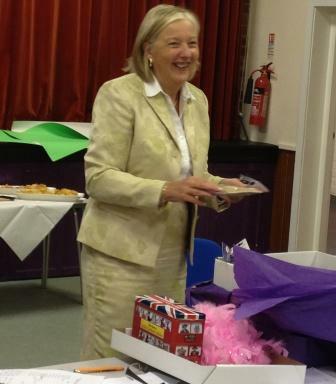 Mrs Croston accepted her array of very personal gifts (tights and feather boas just for starters!) with a lovely speech, honouring the work all the parents have done for the School throughout the years. In 25 years Mrs Croston has seen many parents come and go, but she said they were united in their dedication, hard work, and desire to raise funds for the children. Tissues at the ready!